Recreates one of "Once Upon a Time" stories, blending it with the real-life story of a fashion designer Manolo Blahnik. 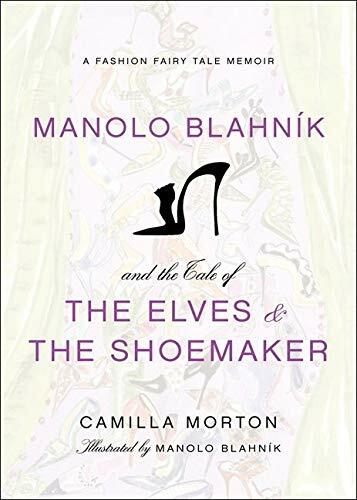 This book adds a twist to the tale of the "Elves and the Shoemaker" through Manolo Blahnik's drawings that evoke the past, envision the future, and, evidence the footprint he's made on fashion history. Celebrated fashion designer ManoloBlahnik reimagines the classic "Elves and theShoemaker" fairytale, blending elements of his own life story into the fabricof the immortal "Once Upon a Time" favorite. As with Christian Lacroix and the Tale of Sleeping Beauty, and otherbooks in the Fashion Fairytale Series, ManoloBlahnik and the Tale of the Elves and the Shoemakeroffers a completely unique, never-before-seen twist on a fairytale classic.Breathtaking color illustrations by Blahnik and wordsby international bestselling author Camilla Morton embody the true magic at theheart of Manolo's real-life fairytale, in anessential volume for fans of Camille Rose Garcia's Alice's Adventures inWonderland and Daniel Egneus's Little RedRiding Hood, for fashion devotees, and for anyone in love with coutureculture.